Two well established Buddhist temples may be found in Cipanas, West Java. The one on the hill towards Gunung Gede is a beautiful place to visit in the morning, especially on Saturday when the giant candles are lit and vast metal vats filled with incense sticks spice the air. 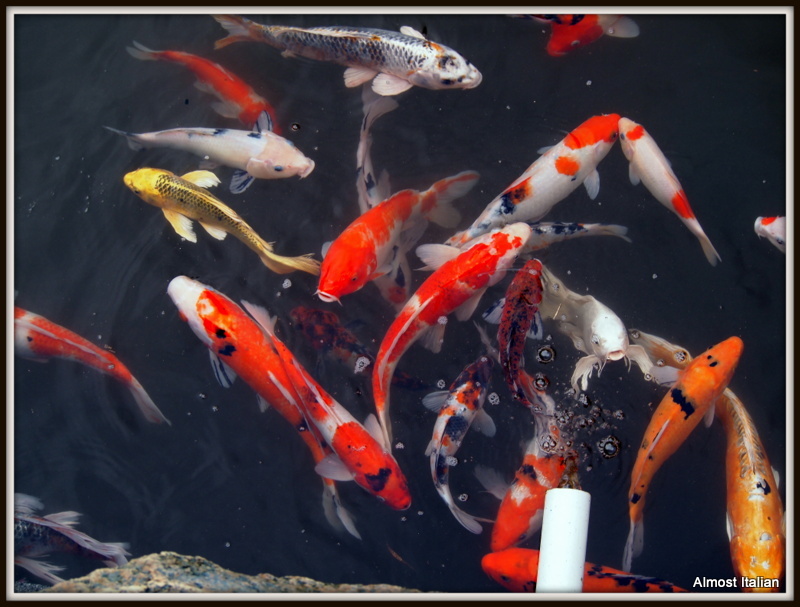 Here, a tangle of fish ( Koi Carp) greet the visitor near the entrance to the temple complex. Travel Theme- Tangle at Where’s My Backpack this week. Thanks Julie, it’s a quaint Buddhist temple midst a sea of mosques. I love watching the koi feed! They’re such colourful fish but so determined to get their meal too! Sounds magical being greeted by candles and incense and these beauties. I could spend hours staring at fish, especially giant Koi. Yes Anna, it was indeed magical.